AND YOU MIGHT EAT TOO MUCH!!! It’s cold outside and we needed comfort food to warm us up and make us feel happy! 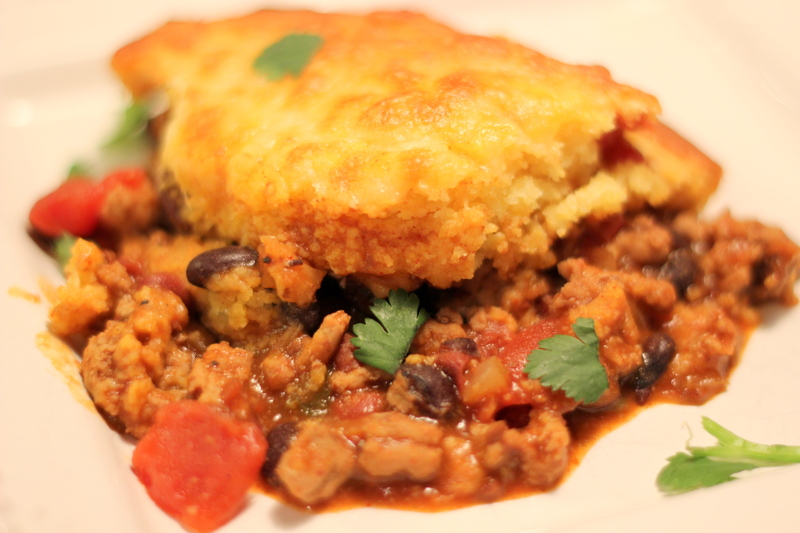 This Turkey Chili Cornbread Pie is just what the doctor ordered. I totally composed this recipe as I made it. 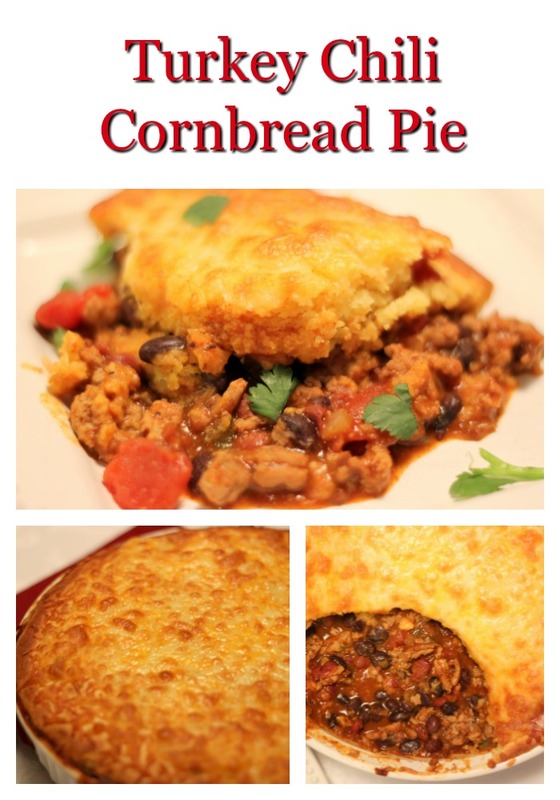 I had no idea that it would turn out so scrumptious with a spicy turkey chili and soft, crumble and cheesy cornbread with just a hint of spice from the jalapeno. After you make the turkey chili place it in a 10 inch casserole dish. Make the cornbread and cover the top of the chili with a 1/2 inch layer of the cornbread. Make sure that the chili is totally covered to the edges. If you have leftover cornbread then just bake it in a muffin tin for later. When the cornbread is done then cover it with the cheese and place back in the oven under the broiler to get a beautifully melted and browned top to the top. 1 cup cheddar cheese or Mexican blend cheese. Saute ground turkey in a saucepan or skillet until lightly browned. Add all the other ingredients and cook on medium heat for about 15 minutes. Make corn bread topping while chili is cooking. Combine corn meal, self rising flour, and salt in a bowl. In another bowl combine egg, oil, melted butter, sour cream and milk. Add liquid ingredients to dry ingredients and stir. Add additional milk if needed to make the batter smooth. 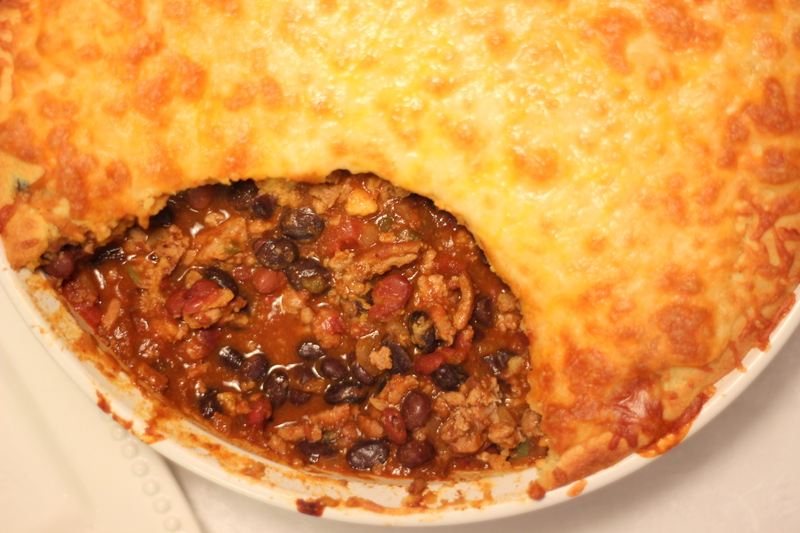 Pour chili in a 10 inch round casserole dish. Gently spread cornbread batter over the chili a little at a time until all the chili is covered. Place on a sheet pan to save the oven from drips. Bake at 400 degrees for about 25 minutes. Remove when cornbread is lightly browned. 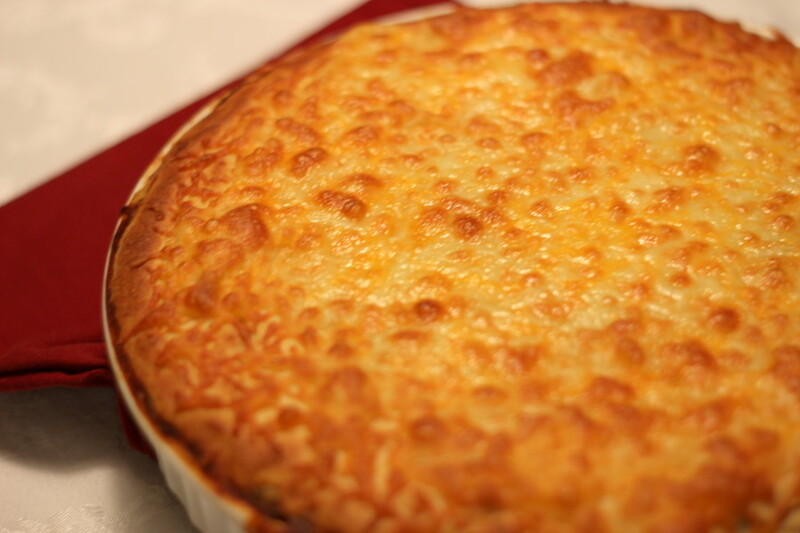 Add cheese to top of cornbread and place under broiler for a few minutes until cheese is brown. 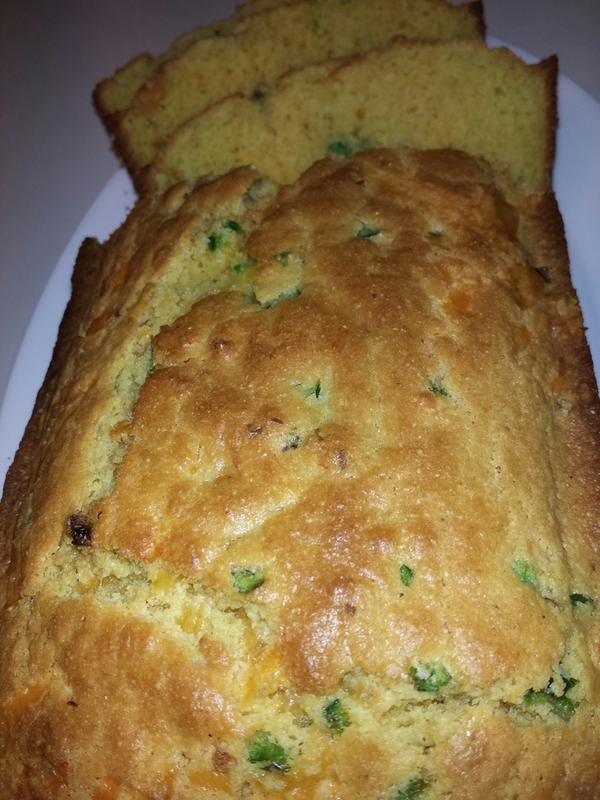 If you like this recipe check out my popular Jalapeno Cornbread recipe.